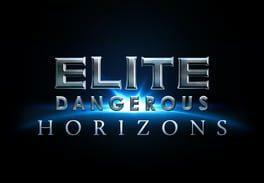 In the first of Elite Dangerous: Horizons’ expansions, Planetary Landings, players can journey seamlessly from space to surface and choose their own landing point on accurately simulated planets and moons throughout Elite Dangerous’ full-scale Milky Way galaxy. Players coast over mountain tops, dive into canyons and take command of the new ‘SRV’ ground vehicles. Each of these 1:1 scale worlds offers incredible vistas and countless gameplay opportunities as players discover valuable resources, experience deadly combat encounters, raid bases, scout crash sites, and cooperate with other players on the planet surface and flying high above. Planetary Landings is an entirely new way to play Elite Dangerous, and is just the first part of the Horizons season of expansions. Elite Dangerous: Horizons is available from 53.99 to 53.99 from 1 shops.